There seems to be some unwritten rulebook governing how old one should be when they settle down and get married. Take the plunge too young, and you’re charging head-first into the marital abyss with less than optimal emotional/financial stability. Get married in your forties or fifties, and watch your kids graduate college with the help of a hearing aide and your cholesterol medication. 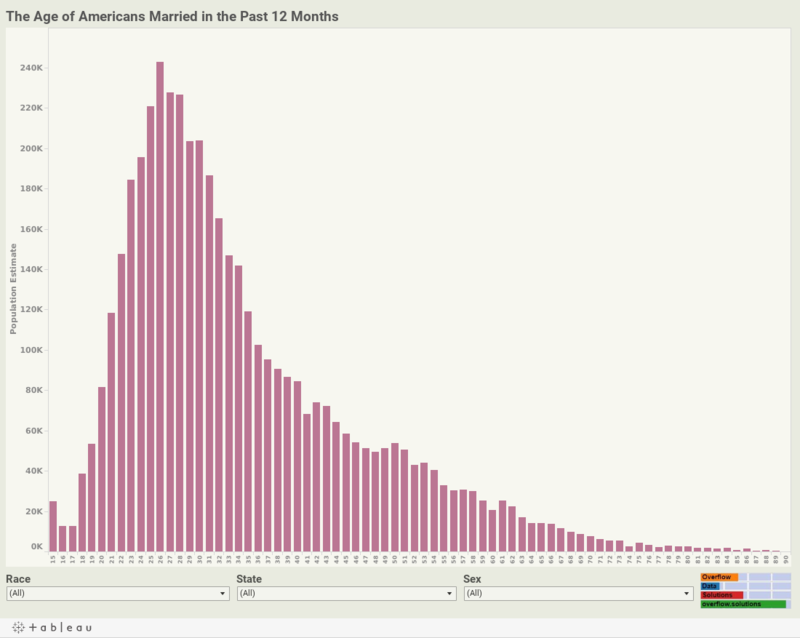 So at what age do people actually get married in America? Overflow Data parsed through data collected by the Census Bureau’s American Community Survey in 2014, finding that the average age of those eloping varied pretty significantly across this nation of lovebirds. 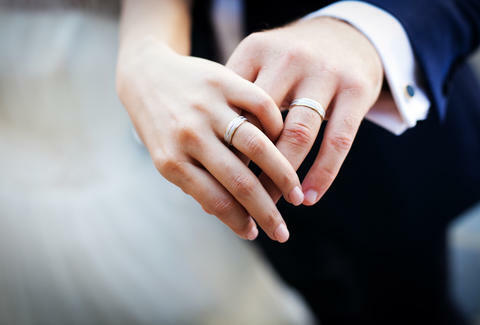 On average, Americans get married at the ripe but impressionable age of 26, meaning that in the last twelve months, 242,944 of these citizens tied the knot. That accounts for 5.58% of American 26-year-olds, which doesn’t seem that high, given the 94.42% of this cohort still swiping Tinder and skirting commitment. Marital traditions vary depending upon where you are in the country, and in the American south, family values compel kids to say “I do” much earlier than elsewhere: In Alabama, 23-year-olds rush to the altar at a predominant clip, and in Mississippi, 24-year-olds are settling down en masse. The interactive also breaks down the data by race, age and gender, so you can see how your marital plans -- or lack thereof -- correspond with the nation at large.